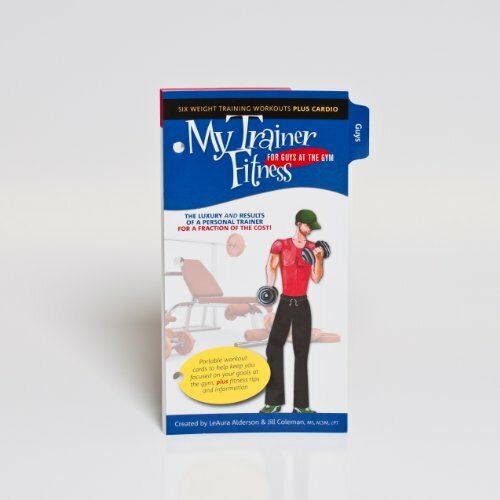 My Trainer Fitness for Guys as the Gym: Reveal Your 6 Pack with this Pack of 6 Complete Gym Workouts for Guys, Featuring Exercises Focused on Strength and Resistance Training, Weight Circuits Plus High Intensity Cardio, for Strength, Power and Endurance Exercise and Fitness. Reveal Your 6 Pack with this Pack of 6 Complete Gym Workouts for Guys, Featuring Exercises Focused on Strength and Resistance Training, Weight Circuits Plus High Intensity Cardio, for Strength, Power and Endurance Exercise and Fitness. High Intensity Interval Training, HIIT, Cardio Intervals for Gym Machines & Gym Equipment, Keep Cardio Conditioning While Maintaining the Muscle Mass of a Sprinter's Body.